Every year, the North East Georgia Marching Exhibition is presented by the Kappa Mu chapter of Kappa Kappa Psi. The exhibition is generously hosted by Cedar Shoals High School and brings together some of the best high school marching bands in the area. At the conclusion of the exhibition there is a special performance by the University of Georgia Redcoat Band. Please come out and support your local marching bands while enjoying a night of great music and artistry! The 13th Annual North East Georgia Marching Exhibition will be held on September 18th 2018 from 5:30-9:00 pm @ Cedar Shoals High School! 1. Tickets are $5.00 for adults and $3.00 for children, students, and senior citizens. 2. The only parents who will be admitted free are those who ride the band bus. They will receive a hand stamp/wristband upon arrival. Students must keep their bibbers on as identification for free admission. 3. There will be Redcoat Band and NEGME merchandise for sale, including T-shirts! 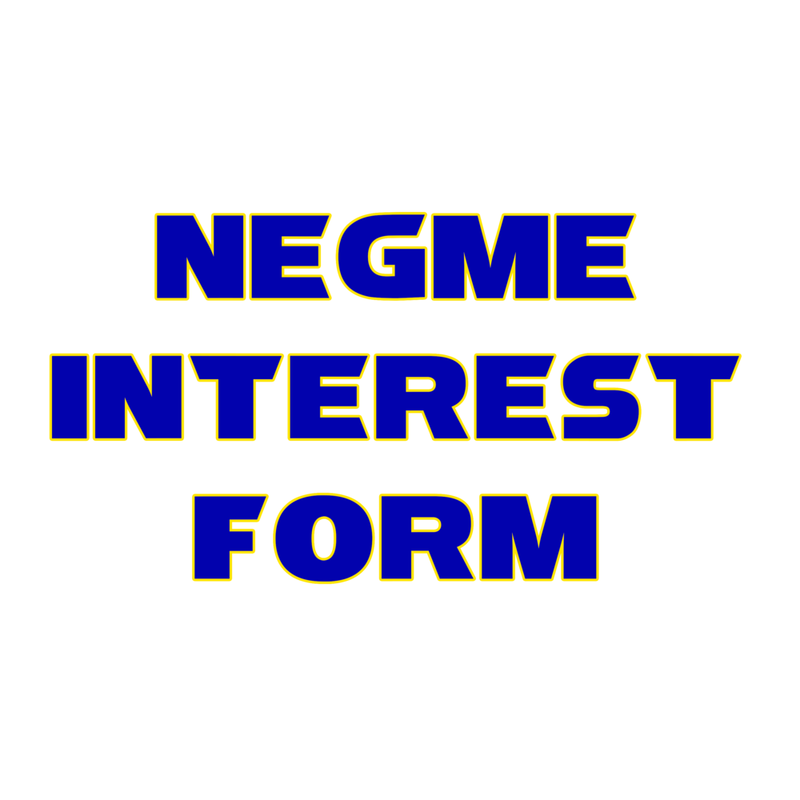 This year we will be featuring a 2018 NEGME t-shirt with the names of all participating bands on the back. Air-grams will also be available for purchase. 4. Concessions will become available shortly before the exhibition begins, both in the stadium concessions stands and at the food trucks on campus. 5. Guests who leave the stands to visit concessions or restrooms may not enter or leave the stands during a show. We appreciate your help in being respectful of all performing groups. 6. Please arrive on schedule (see attached) so your band can begin warm-up on time. This will help reduce chaos and allow your band time to be relaxed and focused for the performance. 7. For any problems, please look for guides in t-shirts with Kappa Kappa Psi (KKΨ) Greek letters and they will assist you. Is your high school marching band interested in being a part of the North East Georgia Marching Exhibition? Please fill out our interest form so we can contact you with more information! The program for the 13th annual North East Georgia Marching Exhibition can be found here!